Personalised Coffee Stencil is rated 1.0 out of 5 by 2. A great present for all coffee lovers in the world. 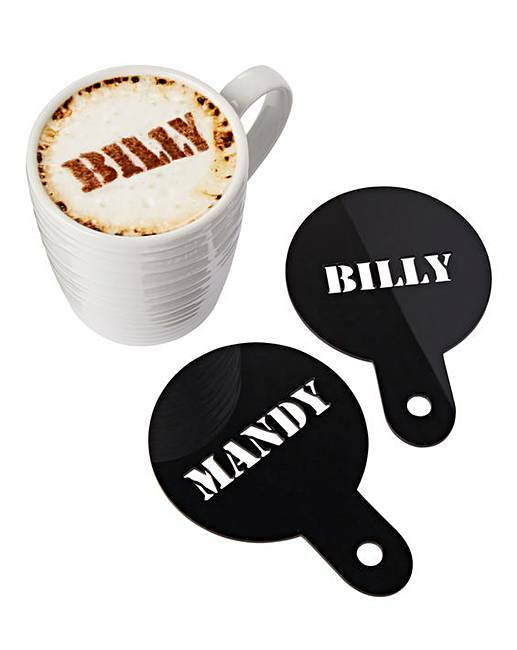 Personalise this great coffee stencil with a name up to 12 letters. Rated 1 out of 5 by Bethw29 from Terrible! Do not order Poor quality, snapped, scratched, looked burnt. Absolutely appalling, returned faulty item straight away. Rated 1 out of 5 by Sharon from Poor quality I bought as a gift but I was so disappointed. The letters were badly cut, for example the letter H was just a square hole. The front of the stencil was scratched and the back was covered in brown patches. My daughter had also ordered this item and had the same issues. We both returned these.